BUENOS AIRES, Aug 8 2014 (IPS) - The recovery of “grandchild number 114” – one of the sons and daughters of those who were “disappeared” during the Argentine dictatorship – caused a commotion that many compared to the excitement of making it to the final match of the World Cup a month ago. A degree of compensation for the wound that has remained open during 30 years of democracy but has finally begun to heal. “Speechless”, “excited”, “ecstatic” were some of the terms repeated over and over on the social networks which reached a record number of retweets and shares on Aug. 5, when the discovery of the grandson of the president and founder of the Abuelas (Grandmothers) de Plaza de Mayo organisation, Estela de Carlotto, was announced. A sensation of “speechlessness” felt by most – although not all – people in Argentina and reflected across the media, regardless of ideological slant. “The tireless struggle to search for their blood relatives could never be called into question, it is something so natural, so logical, so right, that no one can remain indifferent towards it,” lawyer Marta Eugenia Fernández of the University of Buenos Aires told IPS. Since 1977 the Abuelas have been looking for the children born into captivity or kidnapped along with their parents during the 1976-1983 dictatorship, which left 30,000 people dead or disappeared, according to human rights groups. The children were raised by military and police couples as well as by families unaware of their origins, who adopted them in good faith. 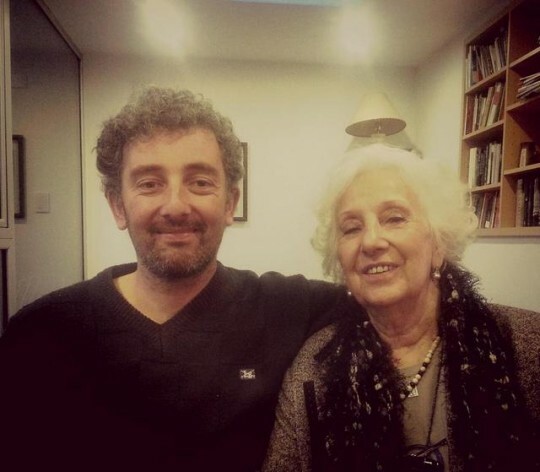 The search for her grandson took 36 years, the age today of “Guido”, as his mother wanted him to be called, or Ignacio Hurban, as he was named by the parents who raised him in Olavarría, a town 350 km from the city of Buenos Aires, apparently unaware of where he had come from. Guido, a pianist, songwriter and arranger, decided to have a DNA test taken to get the sample compared to a national database because of doubts about his own identity. The test showed, with a compatibility match of 99.9 percent, that he is the son of Laura Carlotto, a university student and member of the defunct guerrilla group Montoneros who gave birth in captivity in the Military Hospital on Jun. 26, 1978. She was killed two months later, another victim of one of the cruelest dictatorships in Latin America, a region plagued by de facto military regimes in the 20th century. 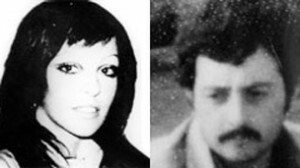 Guido’s father was Oscar Walmir Montoya, a musician like his son, and a Montoneros militant who was killed shortly after he and Laura were seized in November 1977. Nearly a month after the end of the FIFA World Cup, held in Brazil, where Argentina lost the final match to Germany on Jul. 13, other football enthusiasts made similar comparisons. “Not only football can bring us together,” said legendary midfielder Diego Armando Maradona. Messi, meanwhile, called for the struggle to continue because “there are still many more” grandchildren to track down. According to the Abuelas de Plaza de Mayo, some 400 children who were kidnapped or stolen during the dictatorship are still missing. Ahead of the World Cup, Messi and other players on the Argentine team expressed support for the Abuelas’ cause in a video that transcended national borders. But Argentine society is still divided 30 years after the return to democracy and the release of the report “Never Again”, produced by the National Commission on the Disappearance of Persons. Arguments of this kind are not heard infrequently. But things are changing thanks to the adoption of “respect for human rights as a state policy” over the last decade, according to psychoanalyst Viviana Parajón. She mentioned measures like the creation of a “National Day of Memory for Truth and Justice” commemorated on Mar. 24, the day the coup d’etat ushered in the dictatorship. The national day was approved by Congress in 2002 and was declared a holiday in 2005 by then president Néstor Kirchner (2003-2007). The history of the dictatorship and genocide committed by other regimes around the world has also been added to school textbooks. “Until a few years ago the question of the ‘disappeared’ was only addressed by a small segment of society – the rest took stances that ranged from indifference to the theory that there were two ‘demons’,” she pointed out to IPS. This argument justifies the human rights abuses committed by the dictatorship because they were comparable to – and responded to – the armed violence waged by the guerrilla organisations. “He’s like everyone’s grandson…a reparation for that horror,” she said. “The appearance of each grandchild is a little bit of disinfectant on the wound,” she said. But in a story such as Carlotto’s and Guido’s, which had a happy ending like in a movie, where the 83-year-old grandmother was finally able to embrace her stolen grandson before it is too late, there is nothing better than letting the main character explain it. “If by stoning to death the poet you think you’re killing the memory, what is left of this land that is gradually losing its history,” goes one of the songs, “Para la memoria” (For memory), written by the man who until now was known only as Ignacio Hurban, who actually took part in the event “Music for identity” two years ago – organised by the Abuelas de Plaza de Mayo. “The exercise of not forgetting will give us the possibility of not repeating it,” says another verse of the song by the man known now as Guido Montoya Carlotto, which he wrote before he knew who he really was, and before he became a symbol of the recovery of identity in his country.